Today I'm introducing Michelle Ule, author of The Gold Rush Christmas, the story which closes out our collection. A New York Times best selling writer, she's a long-time follower of Jesus Christ who lives in northern California. 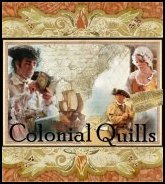 When I heard the title of this collection, I tried to think of a period of time that would be appealing to readers. I figured many writers would write about the Oregon Trail. I remembered, though, how fascinated I was by the Alaskan Gold Rush stories when my family traveled to Alaska a number of years ago. 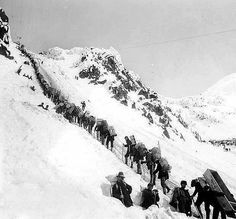 In particular, I remembered that horrific photo of the line of men climbing over Chilkoot Pass. I'd thought I'd like to write a story about a family caught in that line, stepping out on December 25 to reflect on Christmas. My story didn't quite turn out that way! My husband is a retired naval officer, and we've celebrated Christmas in a number of different cultures. We liked to use aspects of the local customs when we lived in different spots--Christmas in Hawaii, for example, included a creche made of a coconut shell. While composing The Gold Rush Christmas, I tried to find an element of Alaskan culture people would recognize but which could help tell the Christmas story better. I found a fantastic one! My story includes a Christmas totem pole. I explored the Internet for items for the pole, and discovered a pastor/missionary in Alaska had actually made one! We corresponded and I bought a small model of that Christmas totem pole. He asked me to make sure I used his description because he'd spent years ensuring it was culturally accurate. The location. I wanted to write about Alaska. I wanted to write about the Gold Rush and I liked the idea of a pair of twins and the boy next door sailing to Alaska and accidentally ending up on a ship filled with gold seekers. I did a little more research, had to come up with a reason why they'd be sailing, and turned it into a quest for a missing missionary father. No. The conditions were awful, the con men were terrible and many people suffered. Yes, my family sailed on the Alaskan ferry to Skagway out of Washington 22 years ago. I pulled on our experiences and the stories we enjoyed while traveling there. The wonderful surprising story of how God worked in the prostitutes of Skagway! I incorporated it into my tale. Many. I'm in awe of the strength of character they exhibited. Most were on the north American continent by 1701 and moved west until they reached the Pacific Ocean. I'm thankful for their sacrifices. 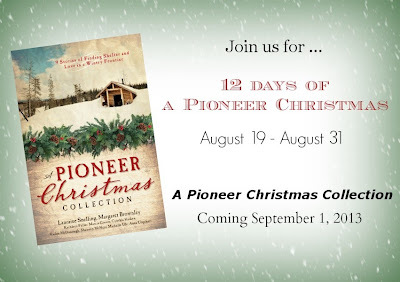 My first book, a family history, is called Pioneer Stock in their honor. I've always loved the story of Nehemiah and the famous line "I am doing a good work and I cannot come down." I liked the idea of someone going off on an adventure and sacrificing for their family, but being determined to stay in that work even when things became difficult. Later, I learned much about the fortitude of a young man wanting to prove himself, even when he discovered his own prejudices. I love how even a seminary graduate needed to be reminded, gently, that he sometimes needed to be discomforted to do the job God called him to do. I love the spiritual growth going on in The Gold Rush Christmas. 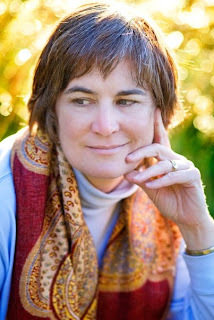 To find out more about Michelle and her work, please visit her at michelleule.com. Don't forget to enter the giveaway! New chances to win, every day. I would love to win a copy of this book, thank you for the chance.